In recent years, the Chinese government has tried to encourage young people to launch their own tech start-ups. Speculators say this is seen as necessary to create jobs and revenue. However, starting one's own business is a difficult path and success can be elusive. 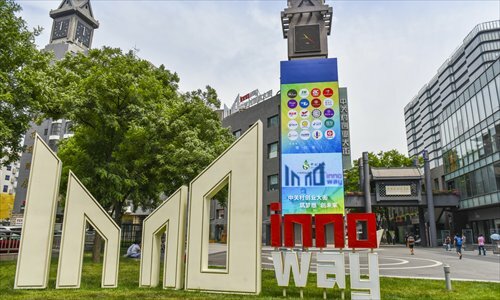 To Alex Hu, Beijing's Inno Way looked glorious at its peak. During that warm summer, in every coffeehouse one entered, one was bound to walk into some young entrepreneurs selling their ideas to investors. Everywhere one looked, one could see the bare legs of young women in miniskirts, passing out flyers with QR codes, enticing you to look hither and scan. The street is situated near an old library building in Zhongguancun, Beijing's Haidian district, dubbed China's "Silicon Valley." Every morning, hundreds of thousands of programmers, entrepreneurs and consultants flood out of the subway into skyscrapers and street stalls alike. The street prospered with a nudge from the central government, which made several calls for young people to launch their own start-ups. Hu remembers looking down on the street from his rented flat in the area and seeing people hovering here and there like worker bees. There was even a wooden box with a microphone next to it that acted as a podium. Every now and then, he could see somebody hopping onto the box and going off about their projects, a scene resembling the revolutionaries of last century. Soon, a thick crowd of admirers would gather. But the scenery quickly changed. Only a few months later, as the weather grew cold, Zhang saw fewer people and projects out on the streets. On social media and the gossip grapevine, he heard whispers about start-ups shutting down. Once-flourishing "offline-to-online (O2O)" businesses died one after another like waves on a beach. It felt like a battlefield. According to data recently published by GPLG, a grass-roots investment media outlet, just in the first half of 2016, more than 2,000 start-ups have shut up shop, 10 percent of the total. In the beginning, the Chinese government called for mass entrepreneurship and innovation to maintain sustainable growth and create jobs. However, as the Chinese economy slows, investment is being withdrawn, and those whose start-ups are dead or struggling find themselves wondering whether they should go on or go back to everyday jobs. "The street of start-ups at that time looked like a sandstorm had swept through the area," Zhang said. Hu dove into the tech ocean in 2014 just before the national craze for start-ups kicked in. He had been working at a university publishing house and grew tired of the stale and unchanging way their business was conducted. With an idea in mind, he quickly familiarized himself with the start-up process, how to develop an idea, how to do presentations and convince investors. He found the trade had quickly matured. There are incubators, many in coffeehouses, and they provide cheap work spaces as well as cheat sheets to budding entrepreneurs. The year he joined was also when the Chinese government started spurring a wave of start-ups. Premier Li Keqiang brought up start-ups and innovation for the public first in 2014 at a summer Davos economic forum. In the following months, there was repeated emphasis and policy support for mass entrepreneurship. The Ministry of Education even sent out a notice in 2014 requesting universities to have flexible hours and allow students to drop out or take leave in order to launch start-ups. There are several successful examples of companies that lasted through the period and are now hailed as role models for all young entrepreneurs. The Huangtaiji fastfood chain has gone from a small shop to raising 180 million yuan ($26.7 million) of funds. Lei Jun, founder of cell phone brand Xiaomi, once said when reflecting on his own entrepreneurship experience, "As long as you are standing in a windy place, even a pig can fly." These words are now written across many young entrepreneurs' desks. It has become an all-society movement, and people with ideas and specific planning dove in, as well as people with little experience, and the start-up street flourished. Jiang Fangzhou, a young writer, wrote during that time that "Beijing has gone mad. It seems like anyone with more than five years of Internet experience, who's under 30, knows Chinese and minimal English, and has been to Internet or advertisement agencies is starting up their own company and drinking coffee with angel investors." After that period passed, however, the market entered a "capital winter" following the slowdown of physical economy, and observers believe this winter may last a few more years. As a result, many companies whose names rose during that period have since popped. Before this chill hit, creating one's start-up was already difficult. Chen Wei, CEO of Shenzhen-based investment group Oriental Fortune Capital told the Guangzhou Daily in 2015 that "Data shows a start-up company pops up every eight minutes in China in 2015 … but the failure rate is about 80 percent with an average of three years lifespan per start-up. College students' failure rate is as high as 95 percent." In 2016, companies started laying off people or going bankrupt all together. The Beijing-based O2O food and drink delivery start-up Beequick started a massive layoff of employees, including upper level managers. In September 2015, Beequick received $70 million in its third round of fundraising, according to news portal sohu.com. Less than a year later, the money was gone, and Beequick couldn't secure new funding. As of March 2016, the 2-year-old O2O start-up has dismissed 400 employees in its purchasing and sales department, or 36 percent of its total staff. Many who have dipped in the sea of entrepreneurship have gone back to everyday jobs. Ma Nan, who had started a retail website in 2012, finally gave in a few years later and went back to his old employer, IBM. Afterwards he switched to Hangzhou-based Alibaba group just before it was listed on The New York Stock Exchange. People around him became envious of his endeavors. His case doesn't stand alone. During that time, even people who knew what they were doing were affected. Zhang Shilang generally spoke in a deep, calm voice when talking about his project and years of hardship. But he instantly switched to a more agitated and rapid tone when asked whether his project can turn around. He had the idea of cloud optometry when he was in college and throught he had invented a way to make it work. He even registered his copyright in 2010. 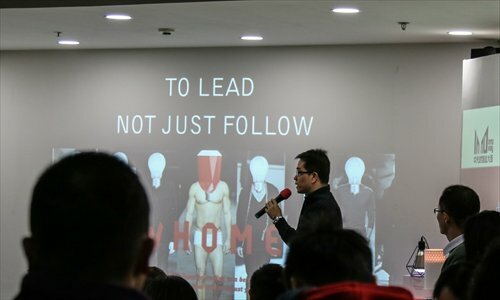 In 2014, he created a start-up with the idea of teaching people to do optometry and ordering glasses all online, instead of going to offline shops or hospitals and received more than 3 million yuan of investment. But he gradually found his way wasn't working and the manufacturing costs were too high. Besides, he couldn't get enough customers and had to switch his commercial mode several times. For the entire time he's had the business, he never once profited, even though he was regarded as a hero by many young people who are just starting out, including Alex Hu. His picture was even once hung outside buildings on Inno Way. The situation worsened last year, especially during the capital winter. Zhang said. There was an opportunity for a 20 million yuan investment but that quickly went down the drain. He remembers in 2015, his entire right hand became inflamed from an infection and it wouldn't heal. He figured it was because of the stress. But Zhang said he will keep going with his project. During his hard times he thought about selling up, but he's had this project for years and developed it from the start, he couldn't bear to hand it to someone else. He said he will keep trying to find the right commercial mode. "I think entrepreneurship might be in one's blood as well, some people might think of quitting right now, but after a few years they'll still want to pick it up," he said. Zhang's investor, Ye Chong from the Zhiying Group said the slowdown has affected his company as well. After this tide passed, they are more cautious about who to invest and will only choose those that can create new value, such as international online e-commerce platforms. 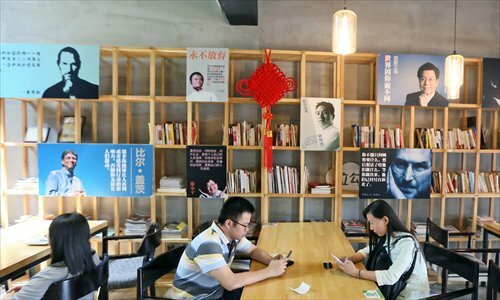 An article published by the Beijing-based Xiaohe think tank blamed the high failure rate of start-ups on young people's rush for mass entrepreneurship and lack of preparation, striking a pessimistic note on the future. Ye doesn't quite agree. "Innovation is an important link in developing the economy. Even though the failure rate is quite high, it's still necessary to encourage it," he said. 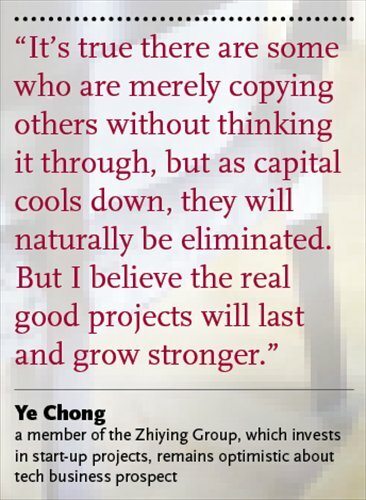 "It's true there are some who are merely copying others without thinking it through, but as capital cools down, they will naturally be eliminated. But I believe the real good projects will last and grow stronger." Hu can't go back to sitting at a desk at some government job now. He's seen and experienced too much since then, he said. In the trade, some people say once you've launched a start-up, you'll always be a start-up man and that's exactly how Hu feels. "Even though everybody's jumped into the sea, there are plenty of fish," Hu said. "You may have gotten stung, but maybe tomorrow you'll find a fish that won't sting and it'll be a much bigger fish too."